Pert and pretty as Nicole in the adverts that sold it, the Renault Clio is the French firm's offering in the hotly contested supermini segment. Pert and pretty as Nicole in the adverts that sold it, the Renault Clio is the French firm's offering in the hotly contested supermini segment. It competes with the usual suspects like Ford's Fiesta, Toyota's Yaris, the Opel Corsa and a host of other small offerings from every manufacturer out there. The Clio could rightfully be considered among the finest, offered in three- and five-door forms, with a range of engines from economical diesels and petrols to the rapid 2.0-litre unit in the highly acclaimed Renaultsport hot hatch model. Introduced in 1998 the Clio immediately won praise for its fine looks, neat interior and decent driving dynamics. 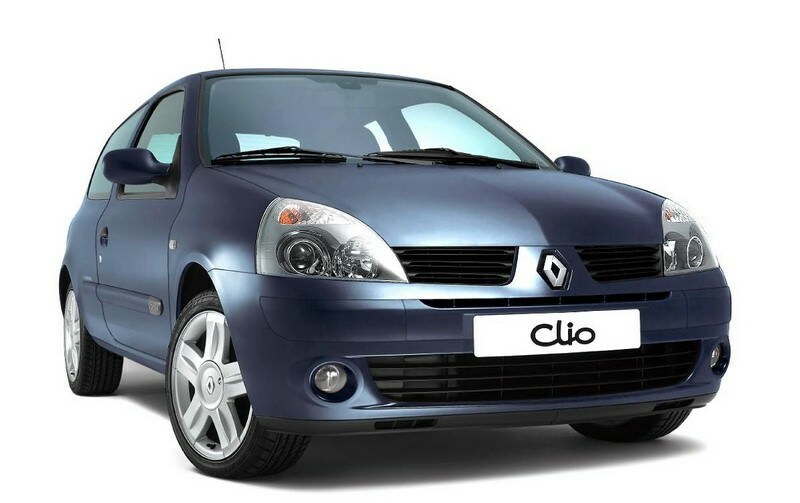 Those looks were a huge draw, the success of the Clio's design such that it still looks fresh today. Renault used plastic front wings on them, for lightness, though another benefit was that they don't corrode and take small knocks better than metal ones would. The range was facelifted early in 2001, Renault taking the usual headlights and tail lamps approach, post-2001 cars obvious with their more triangular shaped headlights, which frame a new front grille and bumper. The engine range comprises of 1.2-, 1.4-, 1.6- and 2.0-litre petrol units, that 2.0-litre petrol engine being reserved for the Clio Renaultsport 172. The diesel range initially consisted of a 1.9-litre unit, though it was replaced by a 1.5 dCi turbodiesel with varying outputs depending on model. An anomaly in the range is the Clio V6, Renault continuing its tradition of offering an unhinged mid-engined supermini-based model with outrageous looks and similarly crazy performance. It bears little in common with its more sober relations, and is a rare and collectable thing that's likely to sit in a garage alongside exotic supercars rather than ordinary hatchbacks. Space inside the regular car is adequate rather than overly generous, the Clio's cabin rather simple, with some of the plastics feeling a bit low rent. It should be relatively hard wearing though. Renault has long offered bewildering trim levels; with Expression, Dynamique, Extreme, Sport and Cup 172 and others offered, it's best to check individual models for exactly what comes as standard. Confusing or not, they're typically decently equipped, all post-facelift Clios featuring four airbags, anti-lock brakes, central locking and electric front windows. Choice is fairly limited engine-wise in the Carzone classifieds, with the 1.2-litre petrol being the most abundantly offered choice. It's a good one too, so we'd recommend it. Smart looks and inexpensive pricing and running costs undoubtedly appeal here, but the Clio's advancing years will undoubtedly mean bigger bills as reliability becomes an issue. It's decent to drive though, so if you can find a good one at the right money it's worth a look. Just don't expect it to be as reliable as its Japanese rivals.